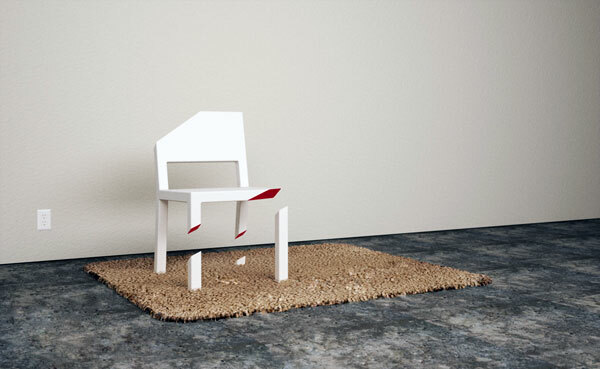 We know that original design ideas can come from anywhere and this chair is a good proof. 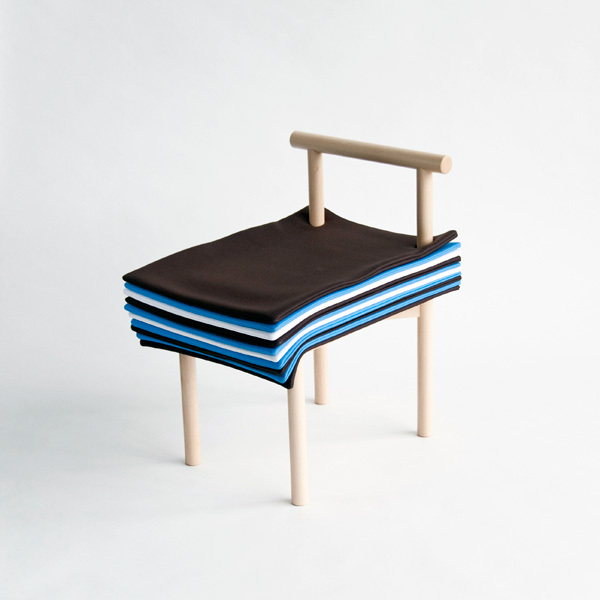 Would you guess that books directly inspired the Pages chair by Japanese designers 6474 Designs in Tokyo? 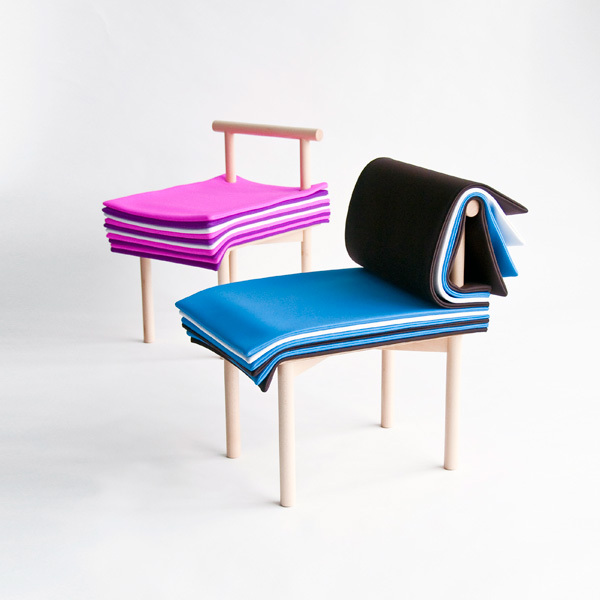 This functional furniture allows users to customize the chair to fit their needs. 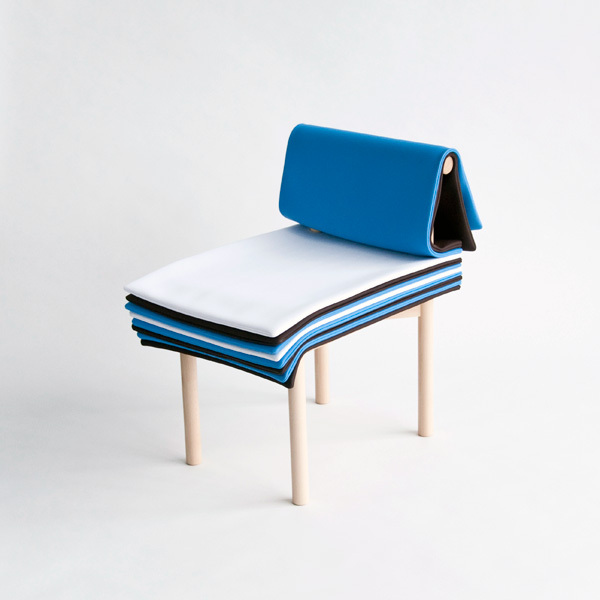 Simply turn the padded “pages” to customize the height of the seat as high or low as you like. This is a great feature because whether you are tall, short, or average height you can adjust the height of the chair to fit the length of your legs. The simple and timeless wooden frame is the perfect complement to the bright fun colorful “pages”. 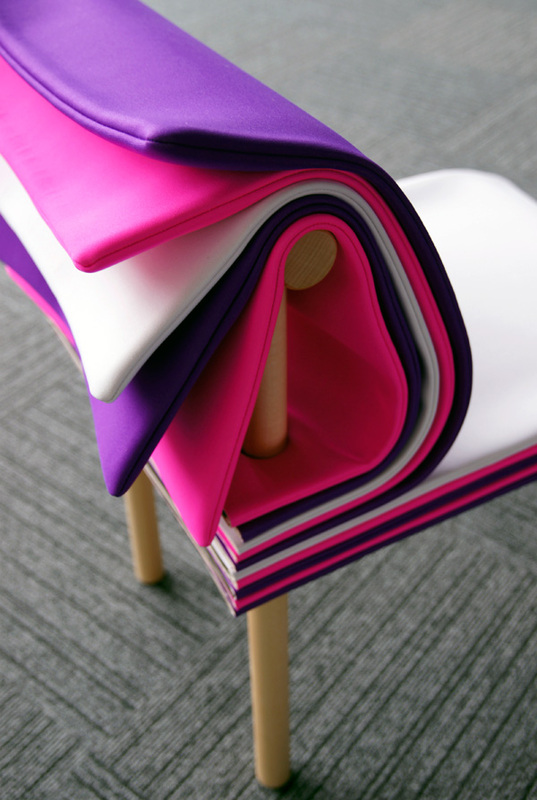 Flipping the pages is a great way to change the look of the chair by simply changing the color that is on top allowing the chair to fit into any color scheme. These elements make this original design not only comfortable but great to look at as well. We usually do not think much about the chairs we sit in, but The Pages chair definitely makes the act of sitting an interactive event. It will spark creativity in people making sitting more fun rather than a stoic activity. And you can change the color of the chair to fit your mood each day if you like. It is like having several chairs in one! The unique coloring, small scale, and adjustability would make it great for college dorms, but it would be a great addition to any home or office space too. The Pages chair is sure to be a conversation starter and is sure to be a page-turner!